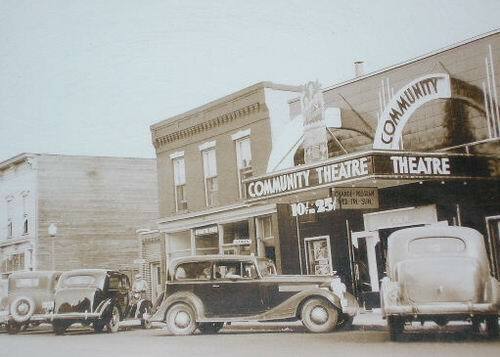 While Im at it, Ill say that Elk Rapids DID have another theatre predating the State/Elk Rapids Cinema. It was the Community Theatre, later the Elk Theatre. It ran from 1930-1940, when the State opened. It was ran by Ed Loomis, who also founded the State. 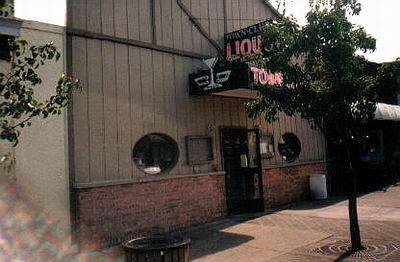 The building still stands as the Town Club, downtown Elk Rapids premier pub. Legend has it that under the Clubs floor was Community/Elks sloped aisles. An interesting fact Joe Yuchasz (Elk Rapids Cinema owner) told me regarding the Community/Elk: since everything was on one floor, the projection room was off to the left, and they used reflecting mirrors so the movie could be properly shown. The theatres offices were in a room in the auditorium to the right. One reason for the Community/Elks demise to the State/Elk Rapids: capacity. Community only sat maybe 100 while Elk Rapids Cinema seats 350, when Joe finally invests in new seats (ha! ).